When buying a car, any newly-minted owner is typically curious about the vehicle's technical specs, peculiarities of individual parts and systems. For example, the suspension is an integral component of any modern car. Ir is rightly considered one of the most versatile components. It is the suspension that protects the driver and other occupants from rough pushes and sharp impacts on a road full of potholes and improves the vehicle's stability. 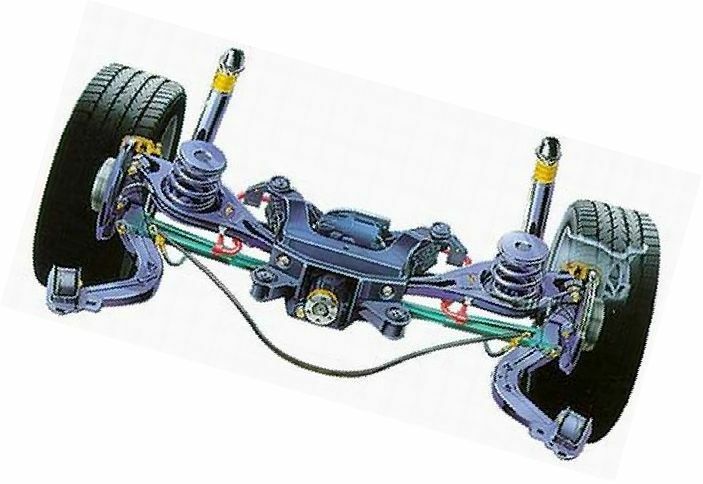 The task of modern automotive suspension is to ensure continuous contact between the road and the wheels. Today, there is no difficulty in buying a car suspension, whether for BMW or whatever else. You can do this even at home: just type “BMW E36 Suspension” in an Internet search engine, and a huge pile of offers will immediately be provided for your attention. However, you must learn at least some basic information on the subject in order to avoid making a wrong choice – purchasing low-quality product or one that is not suitable for your car. Let's sort through it. Surely, everyone has heard that a BMW E36 has rear and front suspension, with their names preconditioned by their design and position in the vehicle. To give you a rough idea, there is a conventional vertical axis that connects the centers of the wheels (front and rear); when cornering or driving on a rough terrain, the car rolls about this axis. 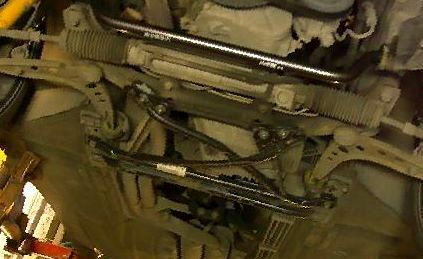 Accordingly, the roll centers are located in the front and rear of the car (hence the names of the front and rear suspension). They are connected by the lateral pitch axis, which is also imaginary or conditional. The car moves about it when rolling. Both the front and rear feature their own guide members, such as control arms. It is the guide members that allow for combining and conveying effort to a side of the body. 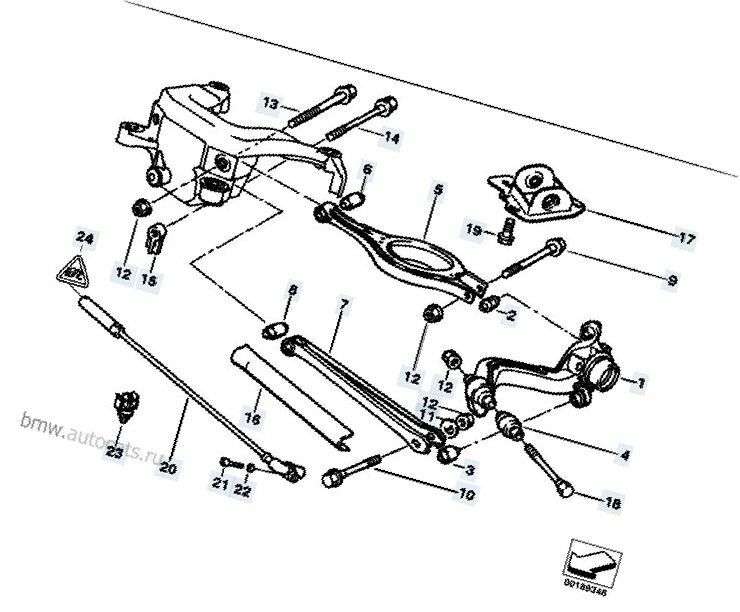 So, the control arm in a BMW (same as in a car of any other make) is a mechanism, one part of which is attached to the wheel, and the second is attached to the body. It is the basis of any suspension. The design of the BMW E36 suspension is quite simple. Just a few arms per a wheel on one side, a shock strut on the other side –and the wheel sits firmly in place. What else is needed? But what about the cars in which the amount of control arms exceeds a few dozens? What is the purpose of such a design? It was typical for the Bavarian car manufacturer to cheap out on their BMW E36 wherever possible, so the car's suspension is pretty simple. However, simple often means perfect. Simplicity is the ultimate sophistication. There is such a quip, and we all understand its meaning. The level of comfort in the vehicle's interior compartment matches its character perfectly. If something is lacking in your opinion, you can purchase a kit with more appropriate specs. Just take into account that the original BMW E36 suspension is easy to maintain and repair. Anything can be easily dismantled, replaced, put back in its place. In addition, disrepairs are simple to diagnose. What else could a BMW owner want from the vehicle's suspension back in early 1990s? Of course, BMW cars are distinguished with consistency and reliability; however, the suspension is a component that undergoes the greatest load and stress as compared to other elements, so, naturally, it can slacken over time and get broken down. 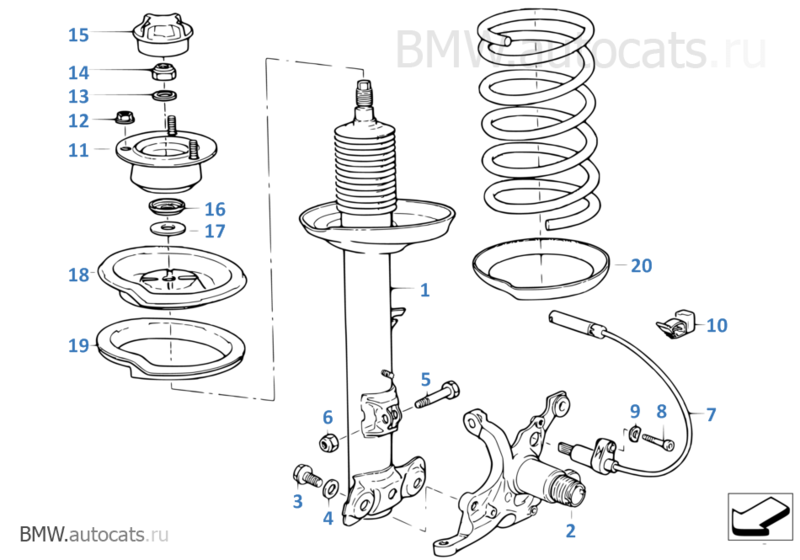 Consequently, most cases of BMW E36 repair primarily require replacing or repairing of the vehicle's suspension. At the same time, e36 rear suspension breaks down rarely. It features simpler design and is subject to less strain. 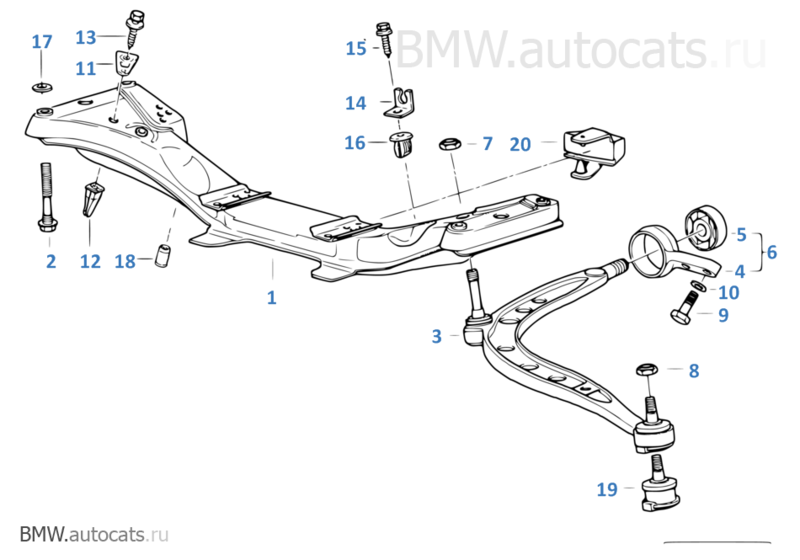 Undoubtedly, suspension repair of the BMW E36 is a process that requires preliminary complex diagnostics of the car. The cost of repair depends on what works need to be performed and which parts need to be replaced to fix the problem. You don't necessarily have to take the car to a body shop for repairs. If you're a handyman, have tools and a place of repair, do it yourself and save some money to buy something for tuning your BMW.